Situated right in the centre of south London, the cultural mecca of Brixton is filled with a sense of community and has recently become a go-to destination for foodies, clubbers, artists and rockers alike. Brixton, like Notting Hill and Shoreditch a few years before it, has recently gone through the gentrification process (a topic of great debate in Brixton). House rental prices have increased dramatically, causing some long-time-locals (and young professionals) to be forced out. 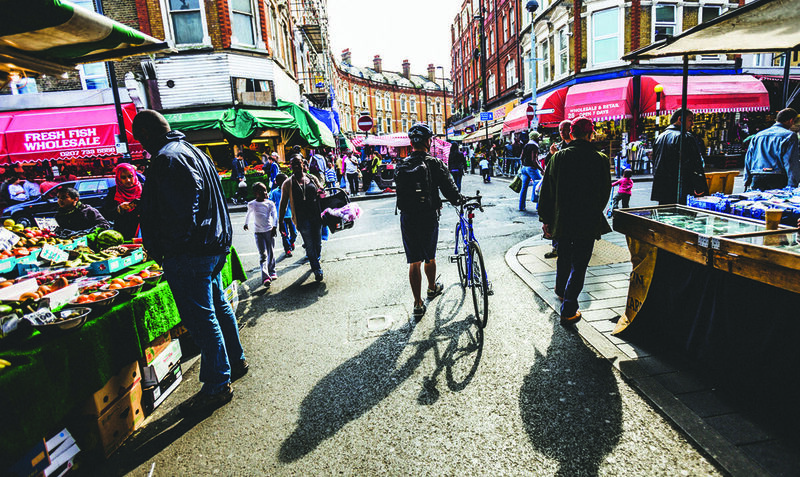 Despite this change, Brixton has still managed to retain a strong African-Caribbean influence. This combined with the multitude of innovative businesses taking over the area with their shared creative office spaces, independent cafés, restaurants and bars, make the area a diverse and super fun place to live and explore in. Brixton Village Market is a food-lovers dream. Unpretentious and affordable restaurants represent cultures from around the world. There’s also a large food market with fresh fruit, veg, meat and fish – often for a better price than you’ll find in the local Sainsbury’s. Its once old and weathered vintage clothing and craft shops have since reimagined their spaces into the thriving boutiques that you see today, making the whole experience feel rather ‘cool and cultured’. You’ll also find an independent cinema, coffee shops and a big department store in Brixton’s centre, as well as regular street-food festivals in Wingate Square. Brockwell Park is very popular with locals, offering swimming in Brockwell Lido, tennis, petanque or even riding on the BMX track! There really is something for everyone. Its residential streets are beautiful, with rows of Georgian and Victorian terraced housing, as well as many newly developed modern flats and lower-cost housing estates. The cost of housing has gone up rather a lot in the last few years, but there are still some good deals to be found if you get in quick. The average monthly rent for a 1 bed flat in Brixton is £1,260 and for a 2 bed flat it is £1,700(Foxtons – September 2017). Brixton is within the London Borough of Lambeth, bordered by the London Borough of Southwark and London Borough of Wandsworth, as well as Tulse Hill, Herne Hill, Balham, Stockwell, Clapham, Streatham and Dulwich. Transport to and from Brixton is simple and fast. Brixton Tube Station is the southern-most tube station on the Victoria line. Trains go directly to Pimlico (Tate Britain Gallery), Victoria (Buckingham Palace), Green Park (Mayfair), Oxford Circus (Shopping in the West End) and Kings Cross St. Pancras (so you can catch the Eurostar to Paris). And as you’ll be first on the tube, you’re pretty much guaranteed to get a seat. If you’re heading south out of London, Brixton has an overground station which takes you to Orpington via Herne Hill and Bromley South. It also goes into London Victoria should you prefer the overground to the tube. If it’s busses you’re after, then you’ll be please to hear that Brixton is served 24 hours a day by a wide selection of bus/night buses running in all directions, with most of the major routes passing outside the tube station. Famed for its markets, multicultural Brixton offers an astounding choice of entertainment guaranteed to keep any Londoner busy. Aside from the plethora of bars and restaurants and the beautiful Brockwell Park, you will find several live music venues such as the O2 Academy Brixton, Electric Brixton and the newly opened Phonox. Market-lovers’ heaven – Brixton is home to one of the best vintage, food and flea markets in London. Located on a pedestrianised street, the permanent shops are open seven days a week while additional stalls are set up on Fridays and Saturdays. Head here on a Sunday morning to pick up some fresh produce at the Farmers’ market and experience true Brixton community culture. Address: Brixton Station Rd, London. SW9 8PS. Adjacent to Brixton Market, you’ll find Brixton Village – home to many of Brixton’s finest restaurants, bars, cafes and boutiques. There are so many to choose from, but some of our favourites include Franco Manca (sourdough pizza),Honest Burgers (best burgers in London),Salon (seasonal, inventive food),Seven At Brixton (brunch, tapas, cocktails and more), Champagne + Fromage (French cheese and bubbles), Federation Coffee (best coffee in Brixton) and Studio 73 (art and prints). Address:Brixton Station Rd, London. SW9 8PS. 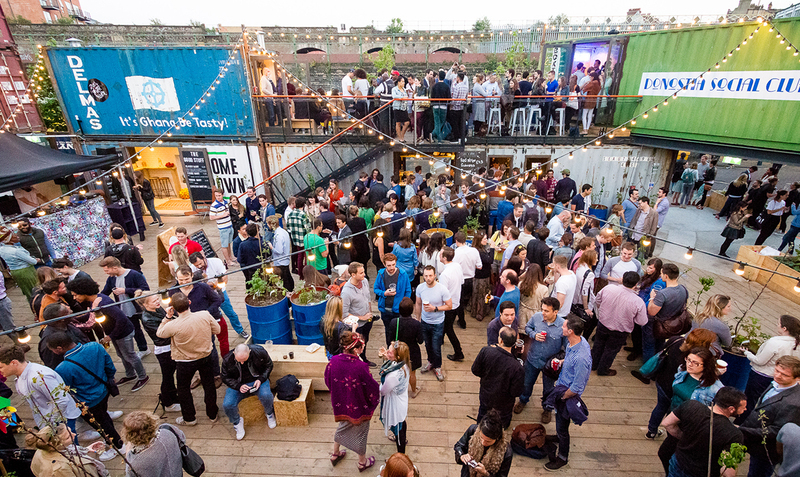 Pop Brixton is a pioneering new (box-shaped) space made from shipping containers. They even used bubble wrap for insulation, so the LOVESPACE team feels right at home there! You’ll find several tasty food and drink options, retail outlets, workspaces for local business and artists, tech enterprises and a community event space with occasional live music, to be enjoyed by all. Address:49 Brixton Station Road, London. SW9 8PQ. If you love drinking beautifully crafted, creative cocktails in an ‘industrial-chic environment, this is the place for you. 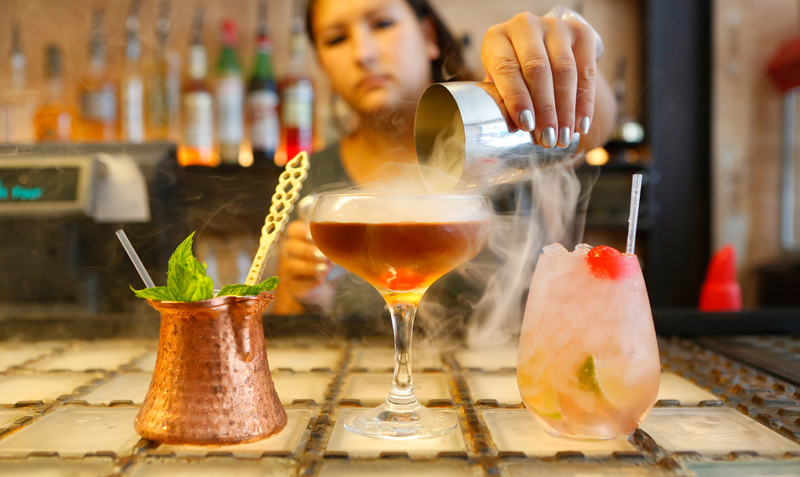 Their bartenders use ‘experimental techniques’ and boutique spirits to create their seasonal drinks menu, and they serve some lovely small food plates too. A big plus is that they don’t allow more people in the bar than they have seats (unusual for bars in Brixton), making the whole experience feel rather refined. A great place for a hot date! Address:384 Coldharbour Lane, London. SW9 8LF. Guaranteed to have a queue every Friday and Saturday night, the newly opened Blues Kitchen is already a hit with the locals. 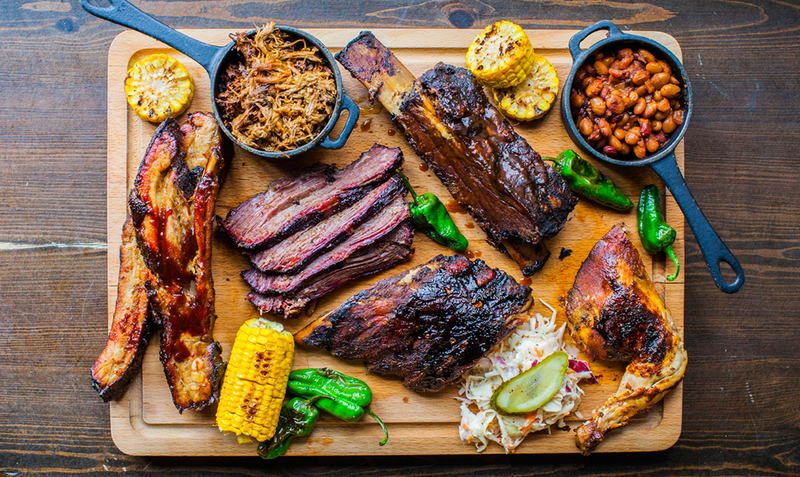 Serving up beautifully cooked and well-portioned Texan barbecue alongside the largest collection of rare and vintage bourbons in London, plus live blues, roots and soul artists seven nights a week, this is the perfect one-stop-shop for meat and music lovers. This raucous music venue in Brixton is relied on for late-night spontaneity by many a Brixton local. With a lively beer garden, mouth-watering street-food and guaranteed live music from Wednesday to Sunday, as long as you don’t mind the sticky floors, you’re guaranteed a good time. 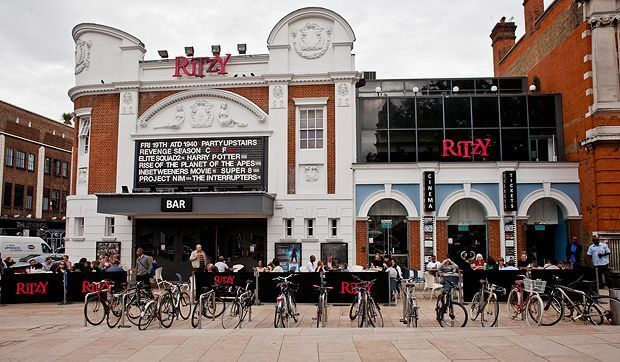 Originally built in 1911, The Ritzy Picturehouse, despite various additions and architectural changes, has now been converted back to its original style and decor. It shows a mix of art-house and mainstream films and you can feel like you’ve stepped back in time while watching them. 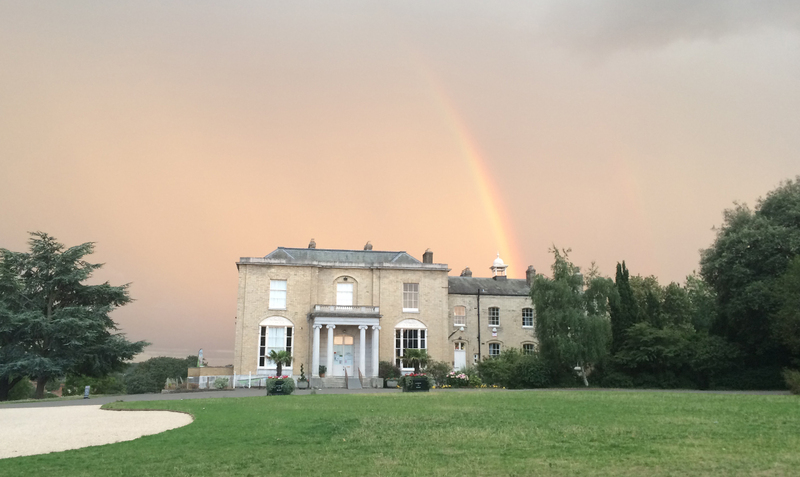 They also have music nights and various film festivals. 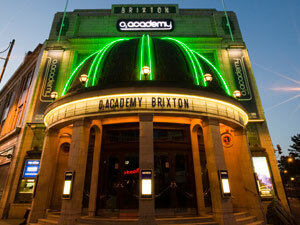 One of London’s leading music venues, Brixton Academy consistently hosts a range of leading music acts and club nights. It has great acoustics and a sloping floor so everyone gets a good view. Tempted to find a home in Brixton now? We’d love to help you with your move! 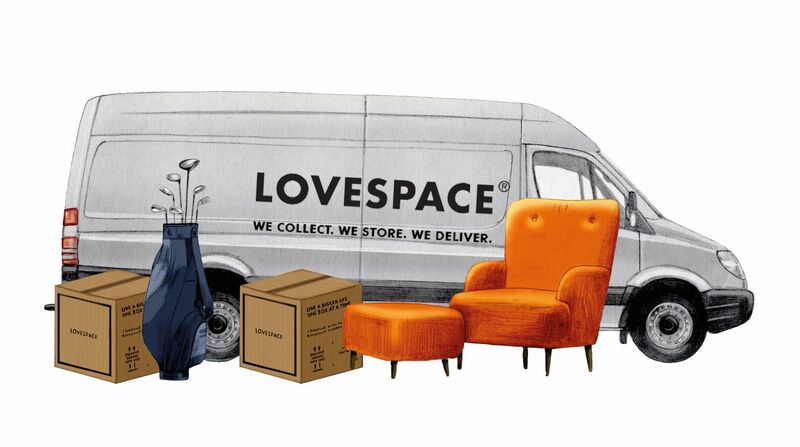 LOVESPACE will collect from your current UK address for free, store your items for as long as you like, and then deliver your items to your new home in Brixton – at the click of a button!Click here to get an instant storage quote.